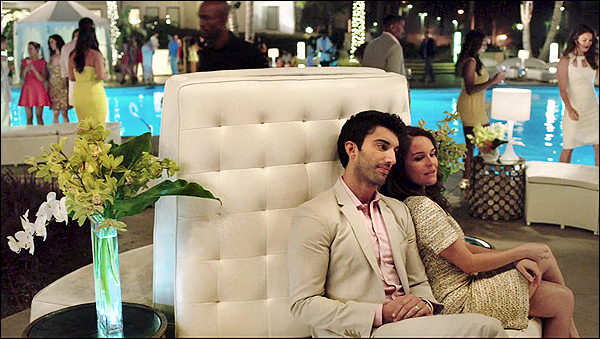 TV series, "Jane the Virgin", is filmed. We never really get to see a good view of the outside of Jane's house. The best look I could find (above) is taken from the front porch, when Jane shows her boyfriend out the door. You don't see much of the house, just a door and an archway, but you do see the house across the street. So I tracked it down by finding that house across the street, then checking to make sure that the house across from it had the requisite arches, etc. Jane's house is at 580 N. Beachwood Drive, in Hollywood, CA. [ Warning: Remember that these are private homes. Here is a Google StreetView of Jane's house. of that house seen across the street. 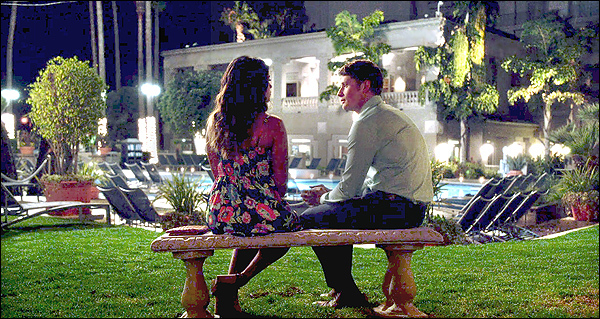 Jane works at a resort hotel ("in South Beach"), called "The Marbella". This is an actual hotel, but not in Florida. 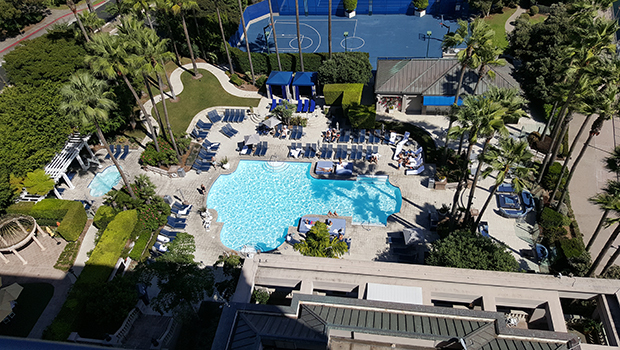 It is the Ritz-Carlton at 4375 Admiralty Way, in Marina del Rey, CA. Marina Del Rey is about 12 miles west/southwest of downtown L.A. Here is a Google StreetView of the hotel entrance. 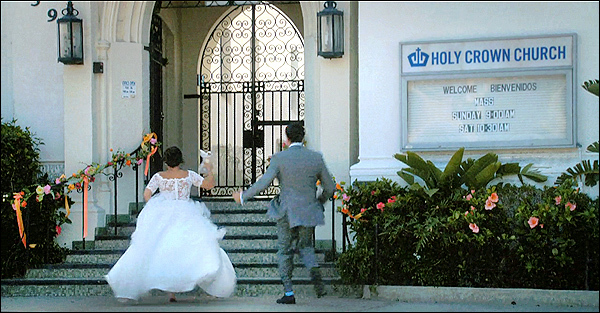 In the Season 2 finale, Jane finally gets married to Michael inside what a sign outside identifies as "Holy Crown Church". 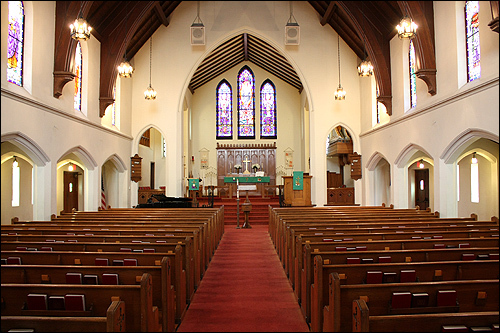 But this is actually Trinity Lutheran church, at 759 Linden Ave, in Long Beach, CA. Long Beach is about 20 miles south/southeast of downtown L.A. 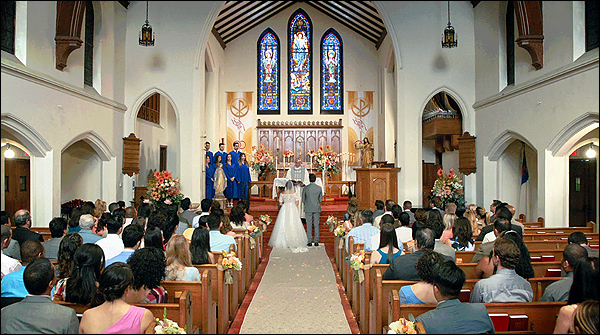 The photos on this page are stills from "Jane the Virgin" and are copyright the CW, CBS and Warner Bros.